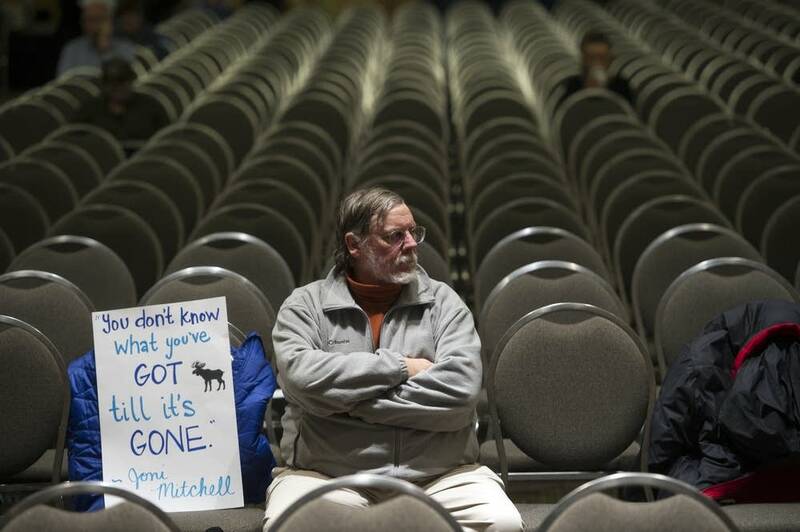 The public's last chance to speak in front of hundreds about why they like or loathe PolyMet's plan to mine copper and nickel in northeastern Minnesota went out with a bang. 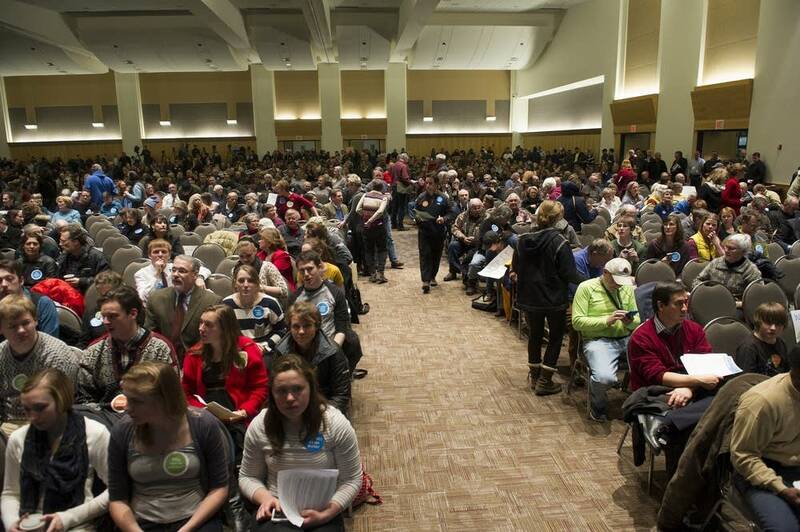 More than 2,100 people packed a Saint Paul RiverCentre ballroom, matching in size but surpassing in feistiness the combined 2,000 or so people who attended two earlier meetings in Duluth and Aurora. 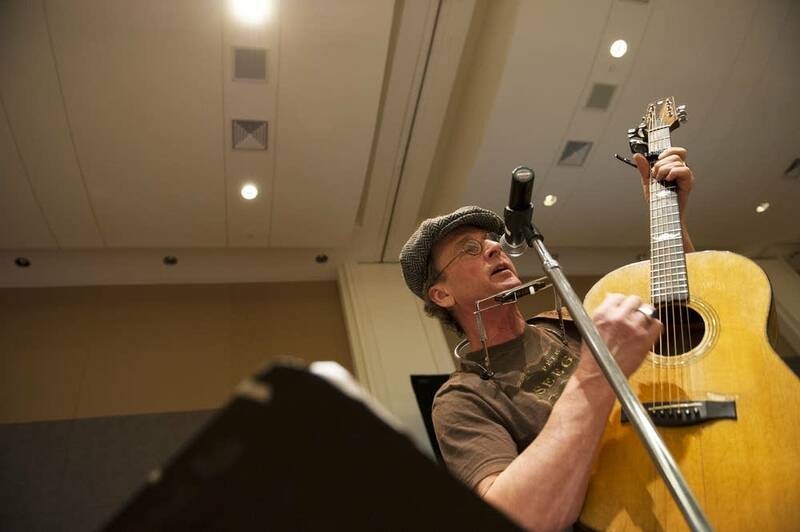 There were standing ovations, boos, laughs and even a guy with a guitar and harmonica who sang out his fears for Minnesota if the state embraces PolyMet, which would be the state's first copper-nickel mine. Moderator Aimee Gourlay asked the crowd on several occasions to avoid interrupting the speakers with applause so they could maximize their three-minute time limit to speak. Those requests mostly went unheeded. One of the loudest moments came late in the evening, when former DFL Rep. Tom Rukavina challenged mining opponents to leave their cell phones and iPads containing the debated metals in paper bags at the door. Mining supporters at the back of the vast room held up paper bags and shook them in the air. "All these little gadgets that you have are made from minerals," he said. "You can export your pollution to China, or you can have slave labor in Africa, but right here you can have good union mining jobs in the state of Minnesota." 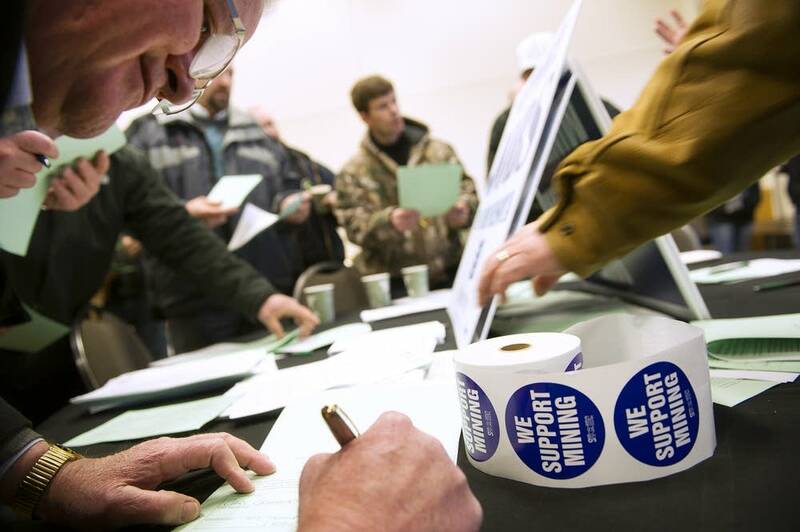 Besides a plea for jobs on the Iron Range, the need for metals was a major talking point among mining supporters, as it had been at the other two hearings. Overall, the nature of the arguments both for and against the proposal had not changed much. Many mining opponents argued that allowing PolyMet to mine would put the Lake Superior watershed too much at risk. "The rest of the world is looking for fresh water, and we're looking to throw ours away. Don't throw this precious gift away," said Hope Flanagan, of Minneapolis, who began her remarks in Ojibwe and brought dozens of people to their feet. "We're water. We're walking skin with water." The hearing was part of a 90-day public comment period on the environmental impact statement for PolyMet's proposed mine and processing facility. The issue could break state records in terms of public interest. Already the Minnesota Department of Natural Resources has received 10,000 comments, and people have until March 13 to submit them. About 60 of the 640 people who signed up to speak were chosen at random to take the microphone. 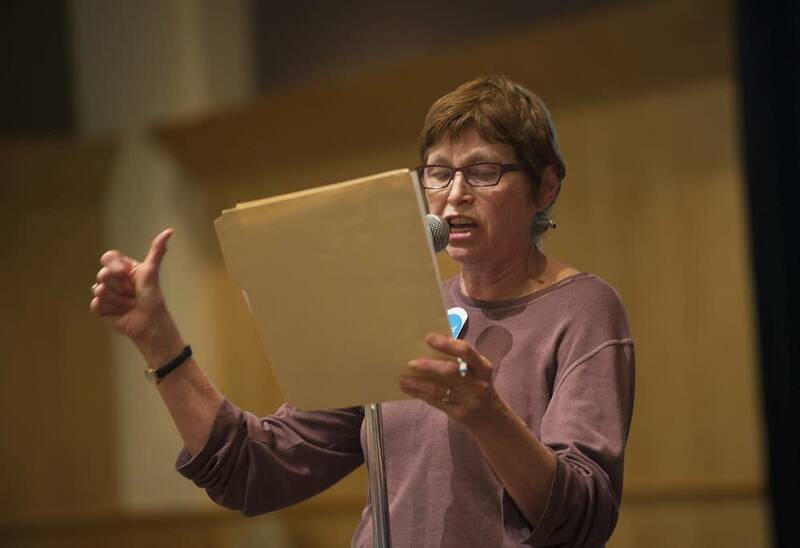 Both the crowd and speakers were split roughly evenly; some union members supporting the proposal wore hard hats and neon construction vests to the hearing, and opponents sported bright blue "protect clean water" stickers. The DNR will have to go through all of the comments, and it's possible some of the comments could lead to changes or additions to the draft EIS. "We're collecting information, doing analyses that will hopefully inform the 20 or so regulatory decisions that would follow the completion of this process," said Steve Colvin, the DNR's deputy director of ecological and water resources. 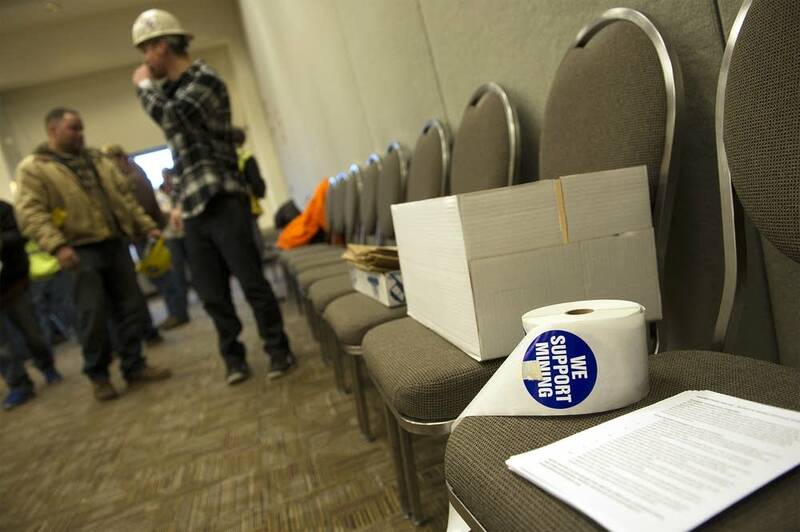 "There is still a lot of work ahead for PolyMet before they get to mining potentially." The DNR asked the crowd to comment specifically on ways the agency could improve the 2,200-page environmental analysis of the project. Many supporters thanked the agency and its federal partners for what they called a thorough document. They asked for science to prevail over emotion. "When we come to the end of the process and there's a decision, we need to respect that," said union organizer Jason George. "I believe we can get this right. We can have these jobs and protect the environment. ... This is America. We can do everything." Besides describing potential impacts on water, wetlands and air, the environmental study cites the 360 permanent jobs PolyMet plans to create, along with more than 1,000 construction jobs. 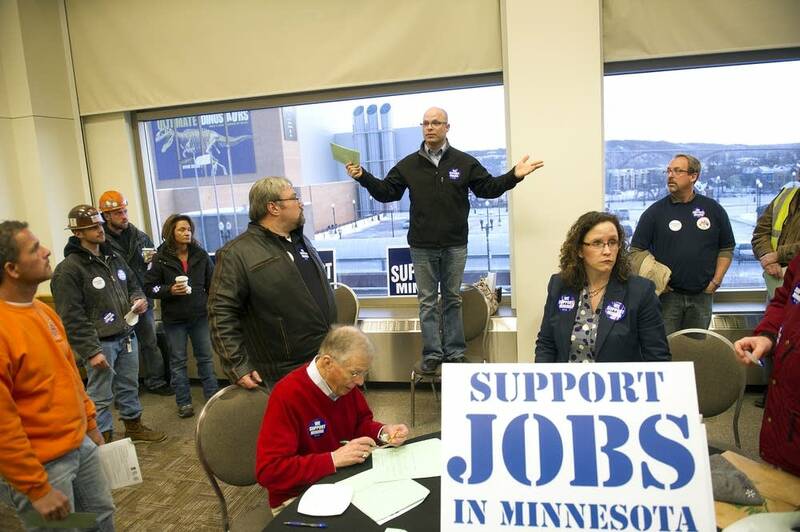 "Let's not blow a chance to establish globally what good clean copper mining looks like," said Harry Melander, president of the Minnesota Building and Construction Trades Council. 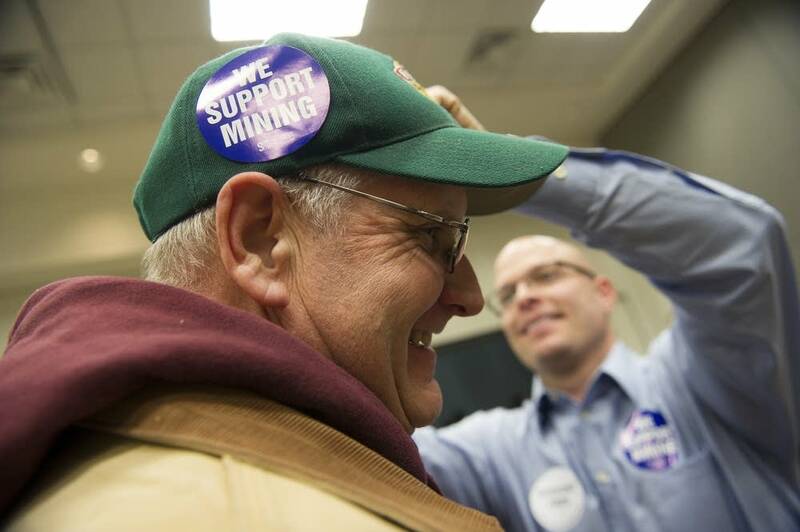 "Mining and Minnesota has been a tradition for over 100 years. Our members benefit from it, everyone in this room depends upon it." Opponents poked holes in the analysis, calling part of the water modeling inadequate and calling for more planning for accidents and emergencies. The EIS concludes long-term water treatment will be needed at both the mine and processing site. "What is going to prevent this company from going belly up 300 years from now, declaring bankruptcy, and saying, gee, we can't pay the bills, guys. What assurances are we going to have...for 500 years? Are we insane?" asked Scott Helgeson of Bloomington. PolyMet has said it will offer financial guarantees to clean up and treat water for as long as necessary after the company is done mining, but opponents have argued the environmental study should offer more details. After publishing the final EIS, there would be another public comment period. Then the DNR and the federal lead agencies would have to sign off on the document before PolyMet can begin to acquire the more than 20 local, state and federal permits it will need to mine. 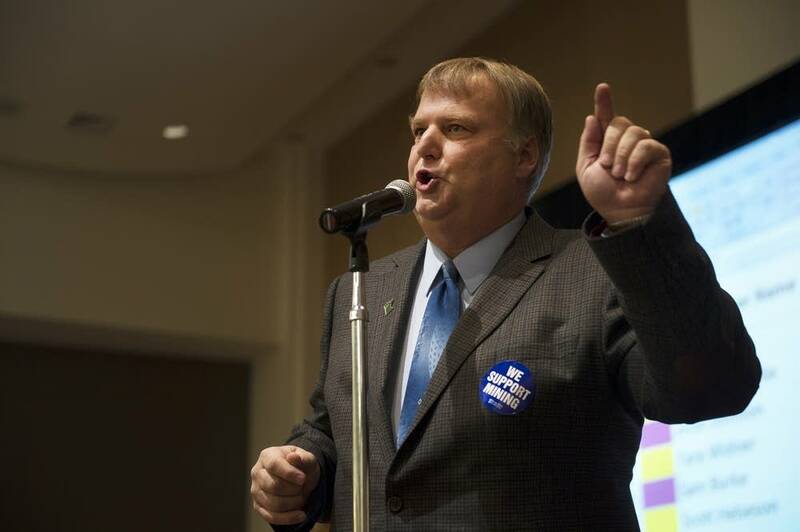 Steve Morse, executive director of the Minnesota Environmental Partnership, said the EIS is complex enough that the DNR should extend the comment period for another 90 days, and he said the document leaves too many unanswered questions. "In the end it is the leaders of these agencies before us that will be faced with a judgment call if this EIS is adequate," he said. "And yes, there may be loud political voices urging you to forge ahead and move the project to the next stage, but most Minnesotans aren't ready to go there."